Which night creams will make you look well-rested, how long can you really last on Whole30, can emptying your closet actually bring you joy, and is the Hanacure mask really just intended to get you to post an unflattering photo of your face mid-mask on Instagram?&nbsp;These are the kinds of self-care questions that wellness addicts and writers Kate Spencer and Doree Shafrir discuss each week, along with a special guest. This week, Kate and Doree go deep on setting boundaries, and discuss people-pleasing, toxic friendships, challenging relationships, and forgiveness. Plus, they speak a little German and quote the Indigo Girls. Then they welcome You Are A Badass author Jen Sincero, who discusses how her own struggles inspired her bestselling books, the importance of going to the “spiritual gym”, the benefits of failing, and naps as self-care. 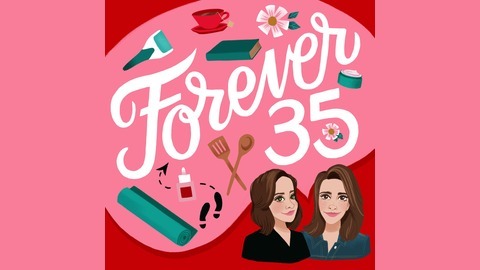 Follow us on Instagram: @Forever35podcast, @katespencer, @doree, Twitter: @forever35pod, and in our Facebook group (password is "serums"). 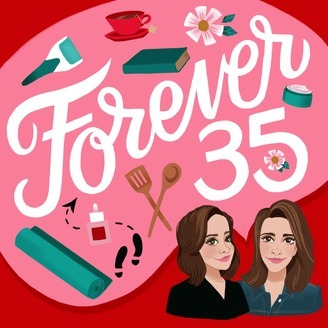 All products mentioned on the show can be found on our website , Forever35podcast.com. To leave us a voicemail, call 781-591-0390, or you can email us at forever35podcast@gmail.com. Beauty By Design - Visit beautybydesign.com/forever35 and use promo code FOREVER35 today — all first-time customers get 20% off. Scentbird - Get 50% off your first month when you go to scentbird.com/forever35 and use promo code FOREVER35. Care/of - Visit takecareof.com and enter FOREVER50 for 50% off your first month. LiquidIV - Get 25% off anything on LiquidIV’s site when you go to liquidiv.com and enter promo code FOREVER35. HelloFresh - For $80 off your first four boxes, visit hellofresh.com/forever80 and enter promo code FOREVER80.